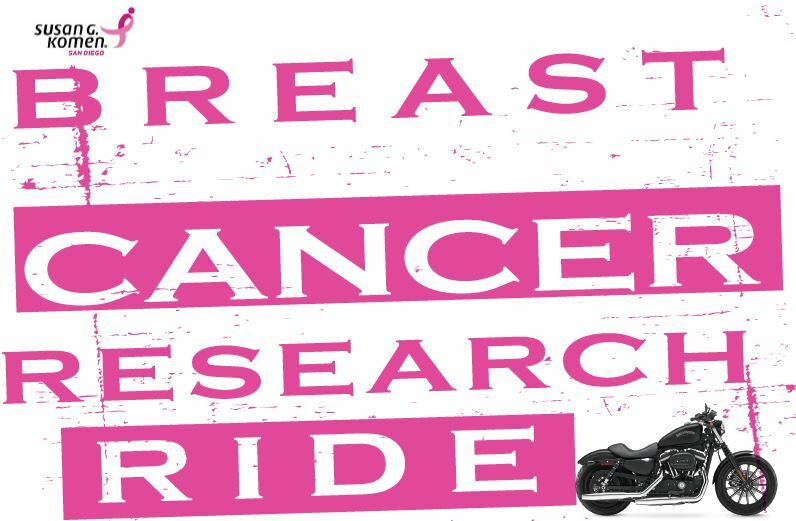 On Saturday, February 9, 2019, Biggs San Marcos Harley-Davidson will host their annual Breast Cancer Research Ride benefiting Susan G. Komen San Diego. There is a $10 donation for riders which includes lunch and an opportunity drawing ticket. There will also be trivia games, prizes and live music. Free roses to the first 50 ladies who sign up! 100% of the event proceeds goes to Susan G. Komen San Diego to provide free mammograms, biopsies, ultrasounds, care coordination, education and financial assistance for breast cancer patients’ most critical needs during treatment. For questions regarding the event or to register, please call Biggs San Marcos Harley-Davidson at 760-481-7300 or 800-442-7539.